Väinämöinen – the leading figure of the epic – is famous for his songs and wisdom. Young Joukahainen from the North becomes envious of him, challenges him in a singing and wisdom contest and is defeated. The angry Väinämöinen uses his magic to make him sink into a swamp. Fearing for his life, Joukahainen promises his sister’s hand in marriage to Väinämöinen. When Aino hears about the promise, she bursts into tears, but her mother is happy about the prospect of a famous son-in-law. While mourning her fate in the forest, Aino meets Väinämöinen and refuses his proposal. She runs home in panic. Aino’s mother tries to encourage her to dress up and adorn herself. Aino roams the forest in despair, reaches the seashore, glides into the water and drowns. A hare takes the message to Aino’s mother, who begins to cry. From her tears, rivers start to flow, islets are formed, birches grow on them and cuckoos start to call, echoing her sorrow. Väinämöinen goes to the sea to look for Aino. He catches a fish and is about to kill it, but it turns out to be the drowned girl transformed into a fish. Mocking him for failing to recognise her, Aino returns to the sea. the author of the Kalevala was a collector and editor of folk poetry. Lönnrot was the son of a poor village tailor, but become one of the most widely educated Finnish men of his days, not only in the humanities but also in the natural sciences. The Kalevala by Elias Lönnrot, is probably the best known and certainly the most widely translated work of Finnish literature. The world of the Kalevala is mythical, not historical and its stories cannot be connected to actual places or events. While serving as a district doctor in Kajaani, Lönnrot travelled extensively checking vaccinations. The collection that he made while on an official trip was to become the most important for the birth of the Kalevala epic. Lönnrot made eleven collecting trips to meet with singers of poetry and write down their repertoires of the ancient oral tradition. Between 1828 and 1844 he travelled more than a thousand kilometres per year on foot, on skis, by boat or by sleigh and wrote down more than 3500 folklore texts. 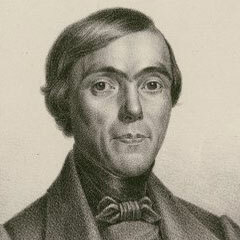 Elias Lönnrot signed the preface of the Kalevala on February 28, 1835. This day has been commemorated as a Kalevala Day and the Day of Finnish Culture.